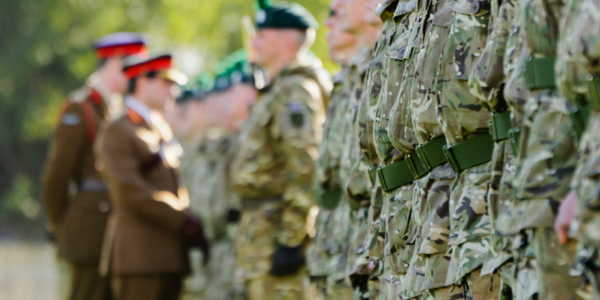 Our connection with the Armed Forces dates back to our founding in 1899 as a hospital for officers returning from the Second Boer War. We are proud to have upheld this commitment by providing subsidies for all uninsured Service Personnel and their husbands and wives. Need help with your hospital fees? If you need treatment with us, we want to help. Depending on your income, medical needs, and our available funds, you could be eligible for support with your hospital fees. Please email VeteransHealth@kingedwardvii.co.uk or call 020 7467 4348 for more information. Decisions are made by the Trustees and grants are only available for medical treatment carried out at King Edward VII’s Hospital. Grants cannot be given for cosmetic and bariatric surgery. All Service or ex-Service Personnel without medical insurance are entitled to a 20% discount on their hospital bill. This is regardless of rank or length of service. It also extends to their present or ex-spouses and includes widowers and widows. If this applies to you, please inform your consultant’s secretary or the hospital when booking your appointment or treatment. You will need to provide proof of service. You may also be eligible for a means-tested grant from The Military Grants Fund, which can cover up to 100% of your hospital fees. Since 1899 King Edward VII’s Hospital has supported members of the Armed Forces. We continue to uphold this commitment by providing subsidies for all uninsured service Personnel and their husbands and wives. Depending on your income, medical needs, and our available funds, you could be eligible for support with your hospital fees.